You got lots of presents for Christmas, you gave lots of presents for Christmas, but the one thing you never gave you was YOU! 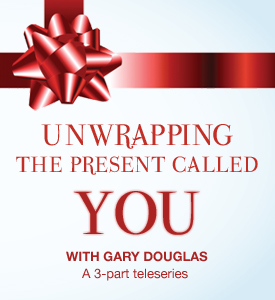 What Is Unwrapping The Present Called You? This class is about unlocking you, unlocking the place where you can actually show up as the gift you are because you know what? The world needs to have the gift called you. Join Gary M. Douglas, Founder of Access Consciousness, for this very special telecall series! Have you ever considered that you are a gift? Do you have any idea how amazing you are? Do you recognize that you are a contribution to the world? What would it take to unlock you; to set you free? The world needs the gift of you. Would you do yourself a favor, would you do the world a favor and unwrap the magnificent and brilliant gift of YOU! !